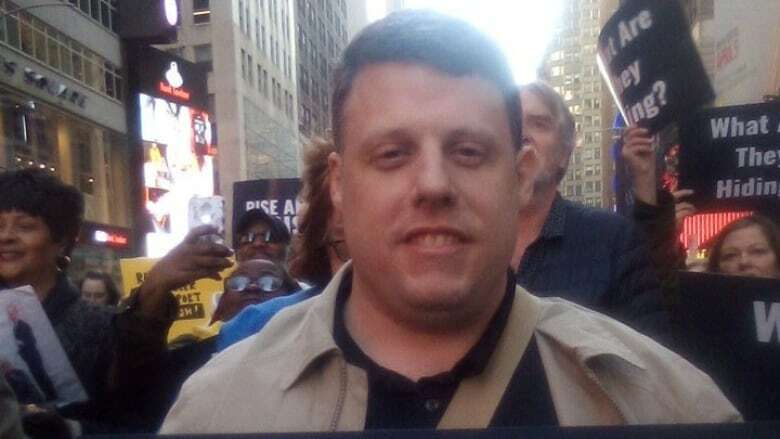 David Weissman was an online troll who used to send Twitter mobs after anyone who didn't support U.S. President Donald Trump. The 13-year army veteran says he was a conservative supporter who perceived his engagement online as social media war. "Every time you logged in, you'll see how the other party is trying to impeach the person that you elected. It's very, very intense," he told Out in the Open host Piya Chattopadhyay. "It's like, 'Hey, these people are really trying to destroy America.'" Weissman felt like it was his mission to take down liberals with what he believed were the only facts. "Like Ben Shapiro always said, 'Facts don't care about feelings.'" Hi, <a href="https://twitter.com/TwitterSafety?ref_src=twsrc%5Etfw">@TwitterSafety</a>, if you look up the word idiot in the dictionary it means Hillary Clinton supporter, so stop restricting me for truth. But his perspective started to change when he engaged with comedian and well-known democrat, Sarah Silverman on Twitter. She responded to Weissman's trolling attempt in a way that surprised him. "We started talking and it was civil. There was no name-calling, no insults. And I kind of realized, 'Woah, I'm not used to that.' And that's what made an impact on me," he said. Their online conversations continued with Weissman asking questions about liberal beliefs to better understand the "other side", while Silverman and her followers responded with their perspectives. Thank you Sarah, I appreciate you &amp; your followers helping me understand a little bit more Planned Parent Hood &amp; abortion. I know it's a tough subject, but i have a better understanding where you guys who are pro abortion are coming from. The media doesn't seem to show this side. "That kind of softened my heart … to actually have a discussion instead of arguing all the time.'" The exchanges helped him realize that Silverman, along with other Democratic supporters, weren't the enemies, but people with different values. As his curiosity grew, Weissman continued initiating conversations with liberal supporters on and offline. His shift from being a troll, to expressing openness and willingness to engage, didn't sit well with some of Weissman's online allies. Eventually, they turned on him. "It was kind of surprising. This was before I made any decisions about being a Democrat or leaving MAGA and ending my support for Trump. I was just discussing it. I was just dialoguing. And for some reason, they saw that as a threat," recalled Weissman. I've been angry for over 2 years. I can't help it when I see a traitor purposely try and destroy my country all to enable our enemy and line his own pockets. Attacking healthcare makes me outraged. He says he was called a traitor online by some of his friends and political allies. "People were freaking out like, 'Oh my gosh, he's becoming a liberal. He's a Democrat,'" Weissman remembered. "It felt like, in a way, karma." Although Weissman ultimately switched political sides, it was his behavioural shift online that allowed him to understand other perspectives. He credits talking to people who didn't judge him, or tell him he was wrong, as crucial to changing how he engaged online. "It was patience and understanding of where conservatives come from that led to a dialogue," he reflected. But he also acknowledges that it's sometimes best to block trolls, especially those who aren't ready or willing to engage in a respectful exchange. "I think that's what matters more ー is the eagerness to learn from others. I was very, very lucky that people were engaging with me." This story appears in the Out in the Open episode, "Switching Sides."